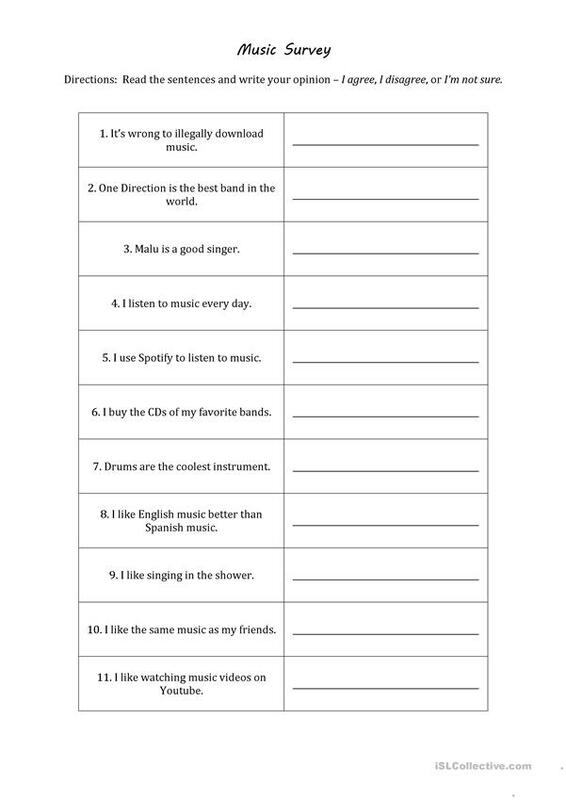 A quick music survey aimed at teenagers (but could be adapted for use with adults), useful to introduce a unit or lesson on music. I had them complete the survey, and then stand up and say 1 that they agreed with and 1 they disagreed with, and give a reason. This downloadable worksheet is recommended for high school students and adults at Elementary (A1) and Pre-intermediate (A2) level. It is useful for strengthening your learners' Speaking and Reading skills. It focuses on the topic and words of Music.